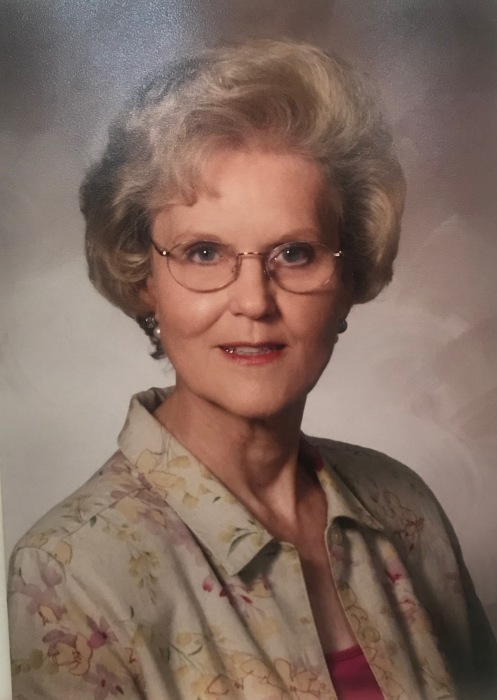 Luanne Murphy Thomason, 89, of Woodway, Texas died Wednesday, April 3, 2019. Services will be 1:30pm, Sunday, April 7 at Prairie Hill Baptist Church with Chaplain Danny Tomlinson officiating. Burial will follow at Prairie Hill Cemetery on FM Road 339 North, Prairie Hill, Texas 76678. Visitation will be 5:00-7:00pm, Saturday, April 6 at Grace Gardens Funeral Home, Woodway, Texas. Luanne was born on May 23, 1929 in Prairie Hill, Limestone County, Texas. She was the oldest daughter of Ira & Jesse Murphy. Luanne and younger sister, Janelle, enjoyed growing up in their parents’ grocery store. She graduated from Prairie Hill High School. Luanne married William Ross Thomason on March 21, 1948 in Mart. They subsequently moved to Waco where they spent the rest of their lives. She was an active member of the Waco Board of Realtors for over 40 years. Luanne and Ross owned their own real estate brokerage and appraisal company, Ross Thomason, Realtors. She was very proud of her two granddaughters and always had a new story to tell about them. She loved watching the Baylor Lady Bears basketball team and attended many games over the years. Luanne was preceded in death by her husband, Ross Thomason; her parents, Ira & Jesse Murphy; and her brothers- and sisters-in-law. She is survived by her son, Steven Thomason, and wife, Toni; her two granddaughters, Gabrielle & Isabelle Thomason; her sister, Janelle Whiddon; and a large, extended family of nieces, nephews, and cousins. Luanne was known as a gracious and hospitable homemaker, a woman of independence and courage, and someone who enjoyed life to the fullest. She will be greatly missed. Memorials may be made in Luanne’s memory to the Prairie Hill Cemetery Association, Box 123, Prairie Hill, Texas 76678.